Great leader handing over to next generation. Sue Jones has, for years, been an inspiration for a wide range of Mt Gravatt community members from Meals on Wheels to Mansfield Melody Makers. My contact with Sue started about 10 years ago when she introduced me to the Habitat Brisbane Bushcare programme and mentored me as I established Fox Gully Bushcare. 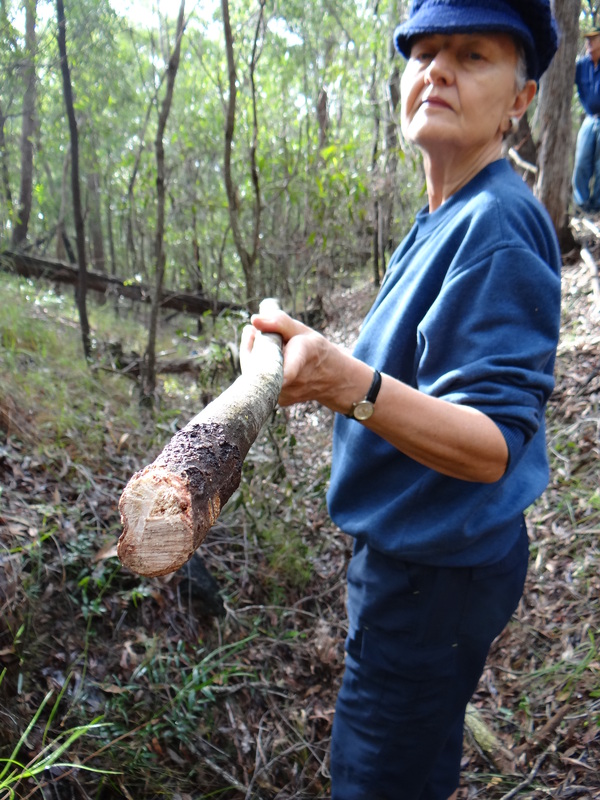 Sue has been defending the special habitat of Mt Gravatt Conservation Reserve for years. However, she has decided that is time to hand leadership of Gertrude Petty Place Bushcare over to the next generation. Sheamus O’Connor who takes over from Sue in July is a great example of the next generation of community leaders. 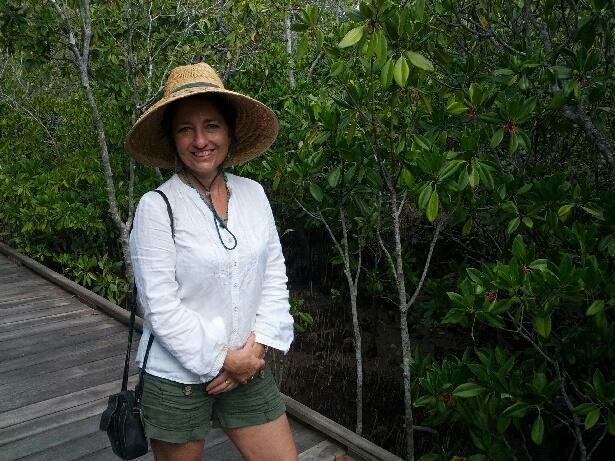 Sue particularly loves introducing kids to the wonders of the environment and particularly our special piece of Australian bush right in Mt Gravatt. 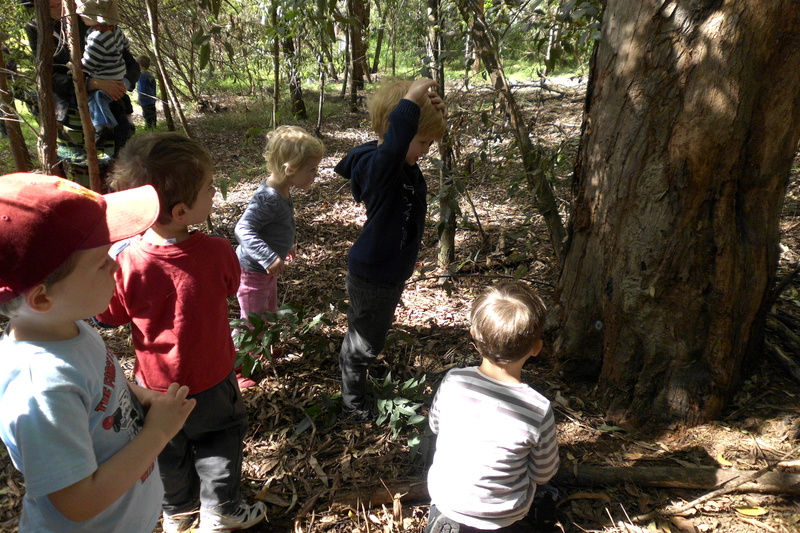 Holland Park Kindergarten Bush Adventure at Gertrude Petty Place. Bushcare requires a long term focus. 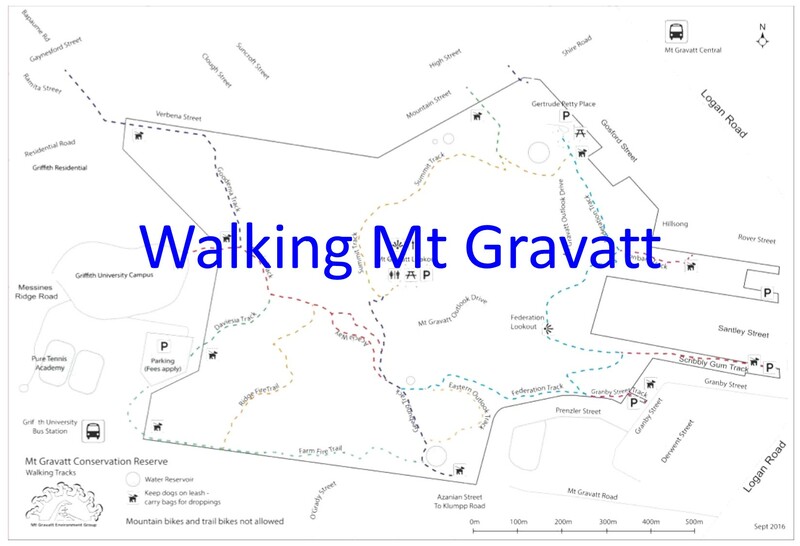 Restoration of Mt Gravatt Conservation Reserve is repairing damage done by logging over 100 years ago before visionary Mt Gravatt community members who lobbied for creation of the Reserve. Sue builds on that tradition engaging diverse community members in the restoration: Griffith Students Deliver Results. Sheamus has already been identified as an environmental warrior. Graduated from Griffith University Sheamus is now sharing his passion for the environment and science, teaching the next generation at Whites Hill State College. The Gertrude Petty Place Bushcare team meets monthly on the last Saturday of the month 8am to 10am. Grab a friend and join other generous and passionate community members working with Sheamus to build a strong Bushcare team. More details see our Bushcare Calendar. 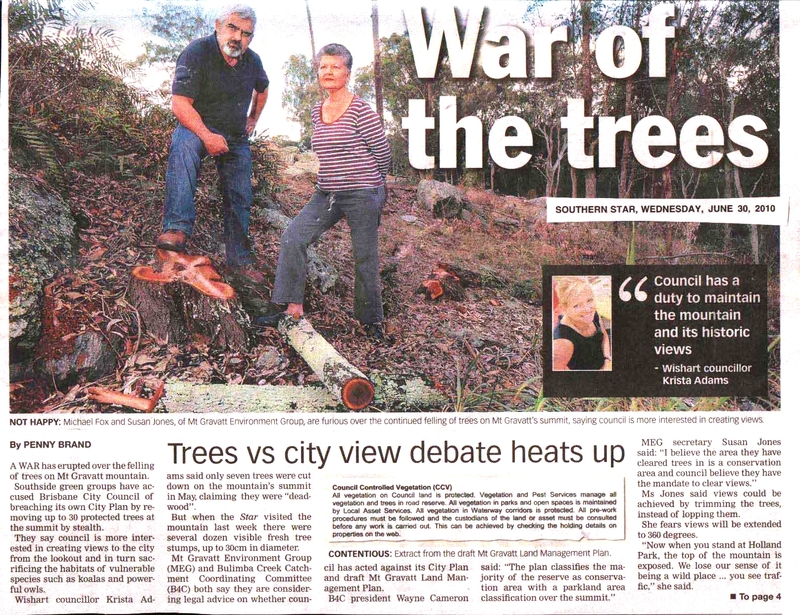 As part of the continuing development of Mt Gravatt Environment Group, Laurie Deacon has taken on the role of President. I will continue to work closely with Laurie, continuing as Editor of Mt Gravatt Environment Group blog and Fox Gully Bushcare co-coordinator. Over the past decade the team has, expanded restoration activities in seven sites surrounding the Mountain, strengthened relationships with community, university and school stakeholders, contributed to research of Mt Gravatt Conservation Reserve, increased use of the Reserve by community members and developed community education. Membership is strong and members have received local, state and international recognition of their work in Nature Conservation. Laurie brings a wealth of experience with volunteer groups and environmental work ranging from membership of the management board of a national environmental NGO, protecting endangered Cassowaries in the Daintree, presenting at the UN Congress for Environmental Education: June 2013 in Marrakesh and working with turtles and the local Majestic Park Scout Group. 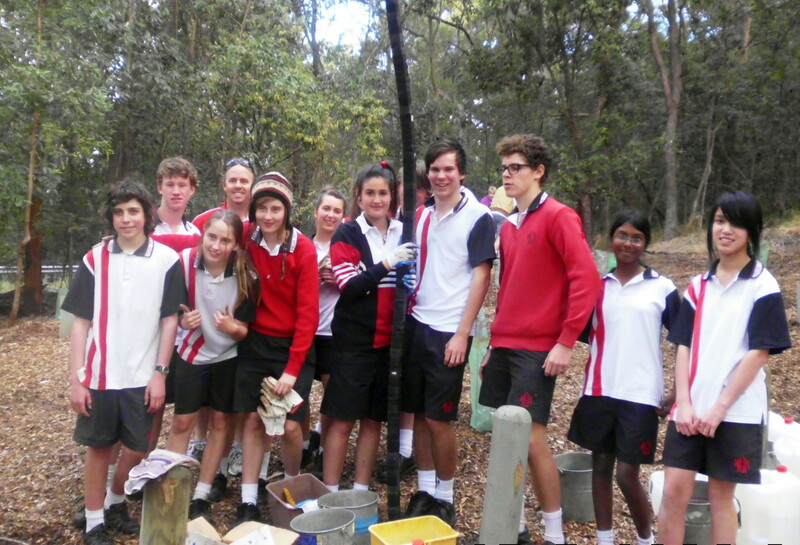 Laurie is currently taking our Pollinator Link initiative Queensland wide, gaining political support and showing the way with the Pollinator Link garden in Mt Gravatt State High School. So how does the world create such an amazing person? 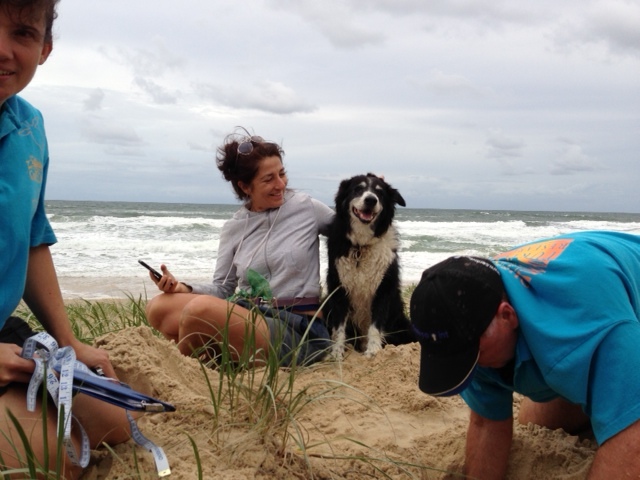 Laurie was born at Tewantin and grew up on lake Doonela catching mud crabs and feeding pelicans. A family heritage based on Maroochy River cane farming Grandparents and Palmwoods orchards Grandparents. 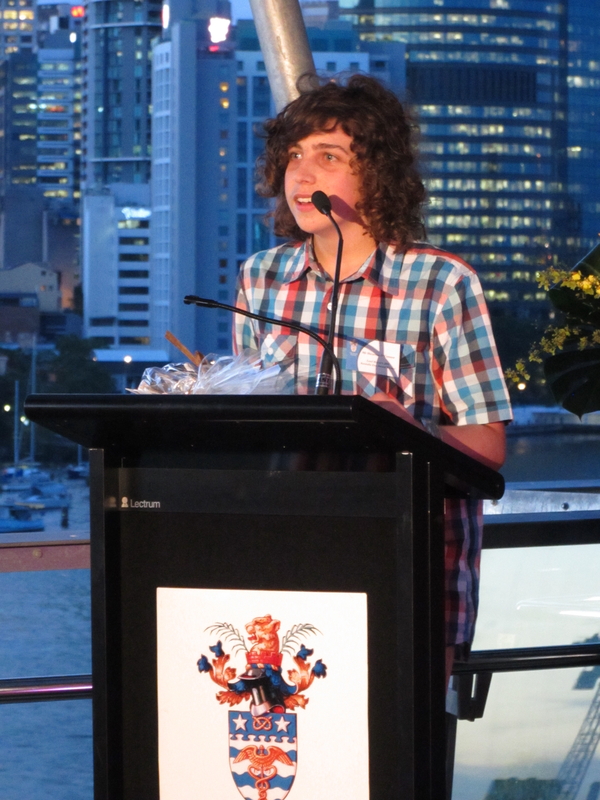 Laurie, went to Nambour State schools doing Agriculture and Animal husbandry with the vision of a future as a vet. Then changed direction with a Degree in Occupational Therapy specialising in the human species rather than other animal species. Laurie has provided Rehabilitation across a range of physical, paediatric and mental health patient/client groups; across Acute Hospital, Community Health & Tertiary Health Service Models. 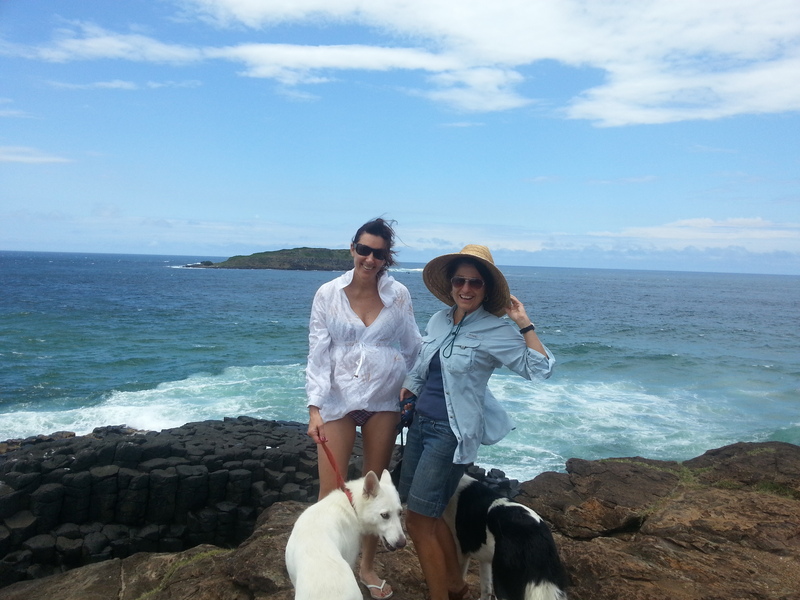 Including a time working as Director of Occupational Therapy (OT) at Nambour General Hospital. Laurie’s roles have included designing and developing these services including research, development of standards, planning and implementing interventions and services. This broad OT therapy experience allowed allowed Laurie to appreciate the necessity and responsibilities of providing a healthy natural environment in which humans can learn, grow and thrive. Her interest has always been in getting people to reach their potential for a healthy well balanced life …. doing things of real value! “It’s the people that make the difference but it’s the environment that makes the people.” Scientific evidence supports the encouragement of everyone to be active in their neighbourhood doing things they care about … and everyone has a special skill that is needed to achieve a healthy local community. As Laurie says: “I am involved in many ‘whole of landscape conservation programs’ as well as individual species programs. Estuaries full of fish and birds and wildlife corridors of any habitat through cities, farms, and bush …I love them, I see them. Biodiversity in all its glory is better than going to the Paris Louvre. I started my interest in community service with Save the Franklin Dam campaign at uni in 1982 and then later FIDO as a ‘formal’ socially active community person. 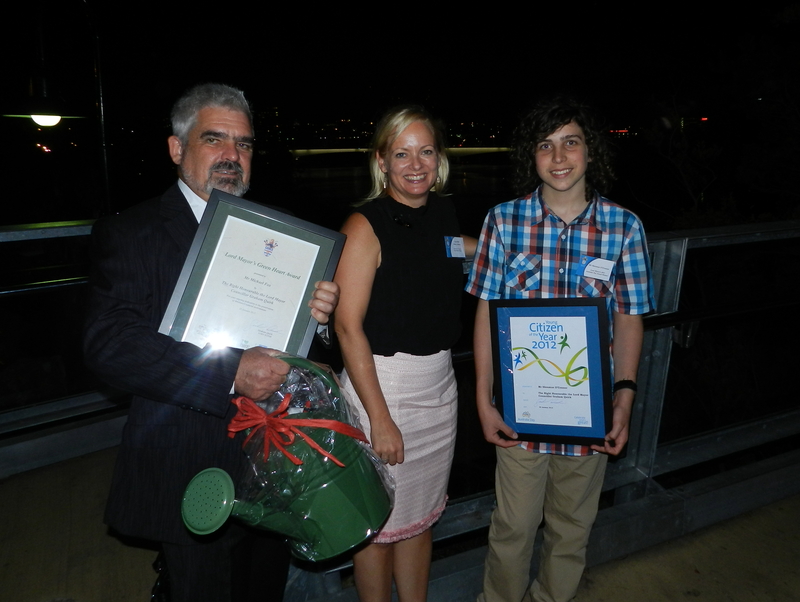 I was honoured on Friday night to join Sheamus O’Connor at the Cliff’s Cafe for the 2012 Lord Mayor’s Australia Day Awards. 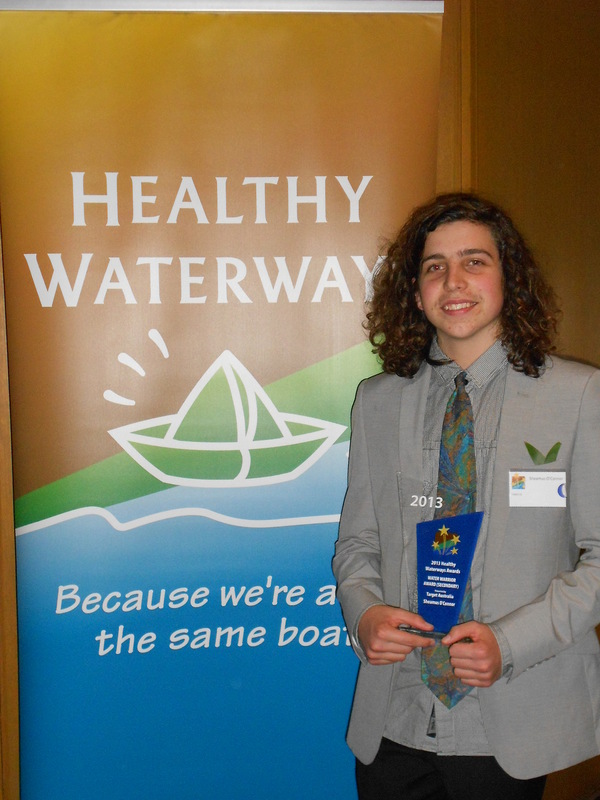 Sheamus and I joined an inspiring group of Award winners honoured for their volunteer work after the January flood, protecting the Gateway Bridge from 150 metre section of the Riverwalk during the flood or helping disadvantaged people reconnect through a street soccer program. 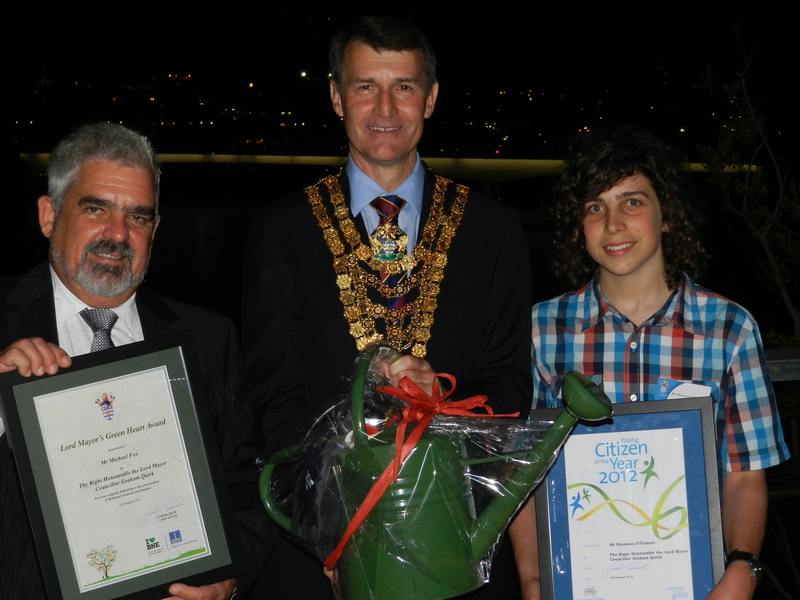 The Lord Mayor honoured Sheamus, Mt Gravatt State High School Year 11 student, as Young Citizen of the Year for his passionate advocacy for the envirionment including his personal contribution to the restoration of Mt Gravatt Reserve. 2011 National Tree Day Sheamus led a team of fellow students and teachers in rehabilitating the degraded area at the entry to the Summit Track. Within an hour the area had been transformed from a barren wasteland into the makings of a great piece of wildlife habitat. As a communty we can be proud to be represented by Sheamus who demonstrated his leadership style in his response to the Lord Mayor’s presentation. 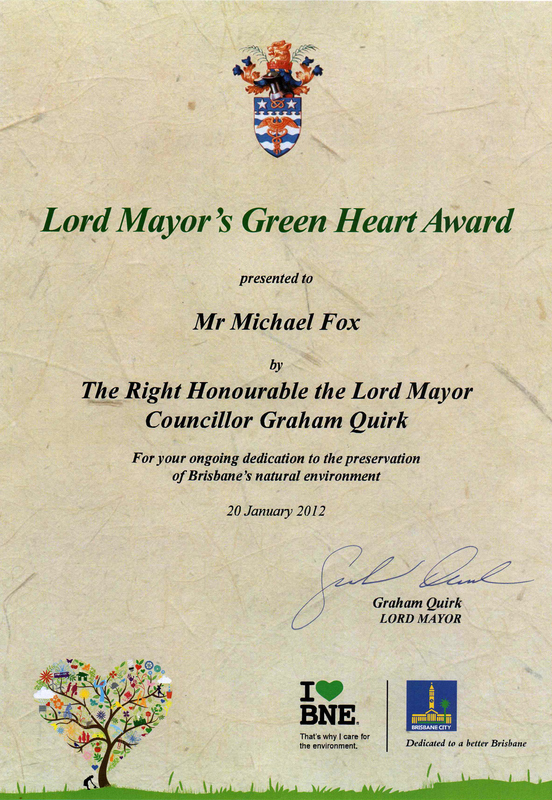 I was honoured to by presentation the Lord Mayor’s Green Heart Award in recognition of restoration work in the Fox Gully Bushcare area, flora and fauna research, ongoing community education with wildlife articles in Southside Community News and presentations at Mt Gravatt Men’s Shed and Griffith University Eco-Centre. The presentation of beautifully wrapped green watering can and tools added a nice bit of fun. We particularly want to accknowledge the ongoing support Cr Krista Adams.